I have a test environment with two Arduino UNO bords with nRF24 modules connected. One board is configured as a GW, another - a node with static ID = 1. Without any encryption everything works fine. With encryption enabled node just does not receive any messages from GW. I found thread here saying that SIMPLE_PASSWD signing should work wih 2.2. So, what is wrong with my setup? @boresexpress as discussed in other threads, if you use the simple password flag, you must not use other signing flags like MY_SIGNING_SOFT. It is implicit with the simple password flag. @boresexpress also, could you please check that you are not close to limits on memory use? I've included this flag because according to MySigning.cpp MY_SIGNING_SOFT or MY_SIGNING_ATSHA204 must be defined for signing to work (macros like signerBackendGetNone are defined to function names only if of one of the flags above are defined). It's really not clear from documentation that _SOFT is automatically defined with _SIMPLE_PASSWD. @boresexpress then there is room for improvement on that topic. But nevertheless, simple password will enable soft signing. Could be that it only complains if you attempt to use it with atsha204 signing. That's true. On the node I was using 88% of SRAM according to compiler report. After I refactor some code and lower memory usage node starts receiving messages. So, the problem was not in the signing exactly. Thank you! For me it was hard to figure that out without your help. @boresexpress you are welcome. Unfortunately we are reaching limits on atmega328p with security and mysensors. Debugging layer of MySensors is very have actually. @boresexpress true, but debugging is kind of nice to have. @boresexpress another thing to consider is that memory is severely affected by the features you include and any 3rd party drivers/libraries used. That said, "simple security" is pretty much the worst setting one can use with respect to memory use and security features. Using an atsha and RFM69 which has hw accelerated crypto, for instance, gives a smaller memory footprint. Sounds good. But RFM69 is much more expensive compared to nRF24. ATSHA is OK to have. Will order it to try. nRF24 is not so awful as you are saying! 99% of all signing issues is due to the nrf24 radio is unable to transmit full size payloads over reasonable distances (bad fakes). I believe, most nRF24 problems are because of poor power. Radio needs 3V3 but 5V Arduinos cannot give enough power on that line for radio to work on maximal transmit power. It leads to random communication error because radio starts up but drops connection on transmit/receive. I'm using nRF24 with special power adapters like this. 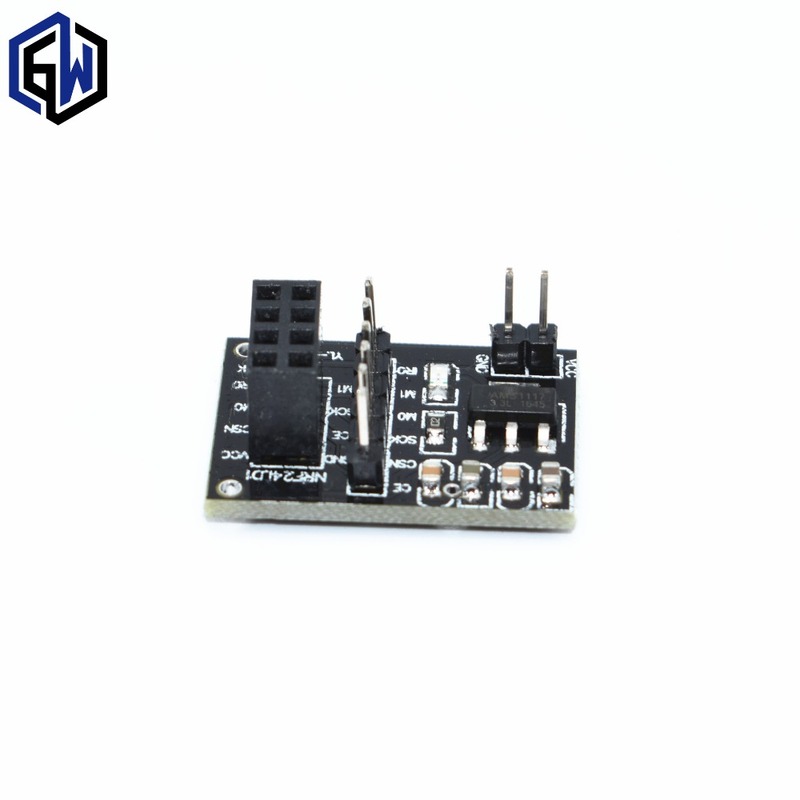 They have own 5V->3V3 converters so I connect them directly to power supply, not to Arduino. And they give enough power for radio to work in any transmit mode. @boresexpress indeed that is a common issue, but it is well known and documented that some clones are inferior and a common source for issues.